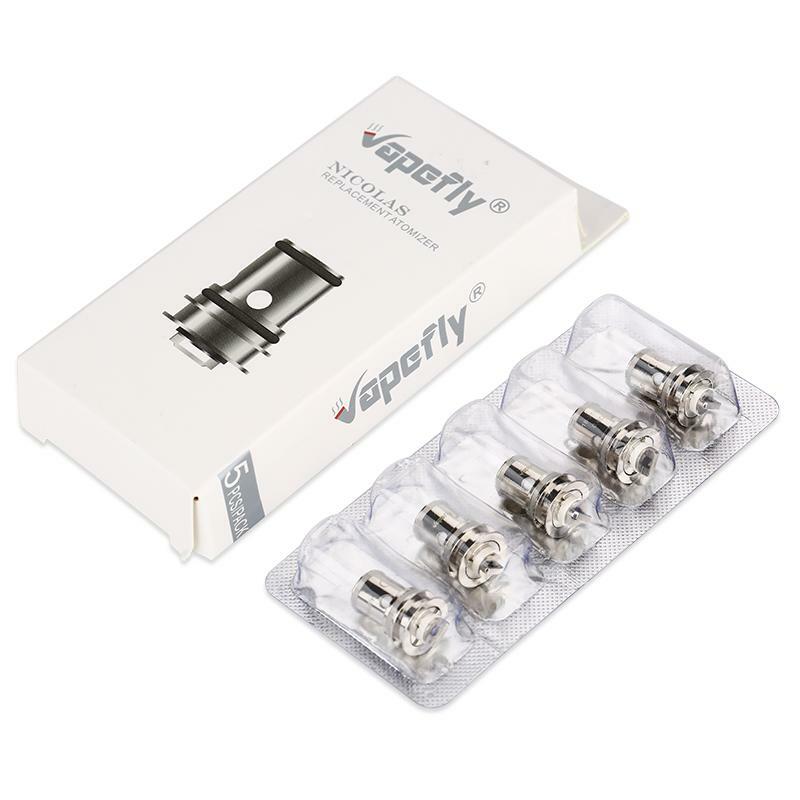 The Vapefly replacement coil is for Nicolas tank, which feature the BVC coil structure with huge cloud and nice flavor. 0.6ohm coil (18-25W) and 1.8ohm (9-13W) for your selection. 5pcs each pack. Get them for your Vapefly Nicolas tank. Vapefly Nicolas Coil feature the BVC coil structure with huge cloud and nice flavor. Best compatible with Nicolas tank. 0.6ohm coil (18-25W) and 1.8ohm coil(9-13W) for your selection. Less than 2 weeks delivery time. Superb customer services. Great Seller - highly recommended.